Dott. Carlo Triarico, President of the Association for Biodynamic Agriculture. 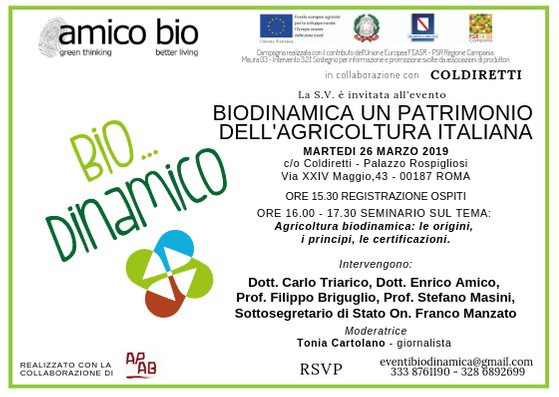 "What really is biodynamic agriculture"
"Entrepreneurship with modern for Italian agribusiness branches"
"Fundamentals of European law: biodynamic agriculture"
"The role of certified biodynamic agriculture: technical standards and guiding principles"